Github Serendipity. 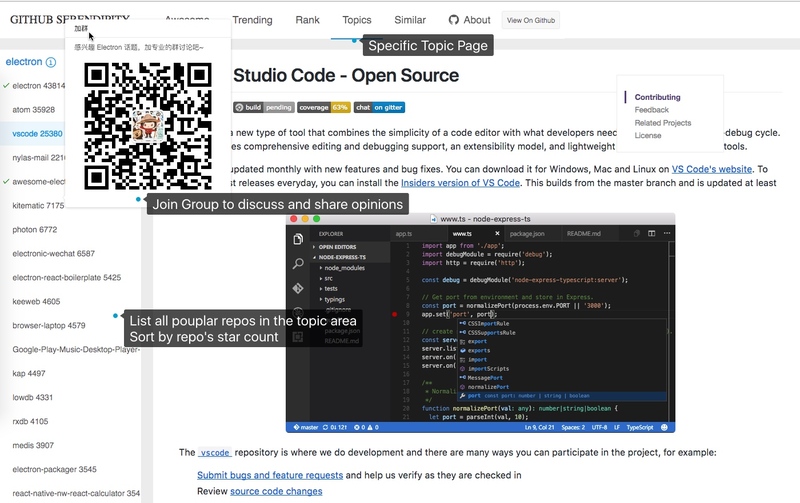 A smart way to explore popular github repos. 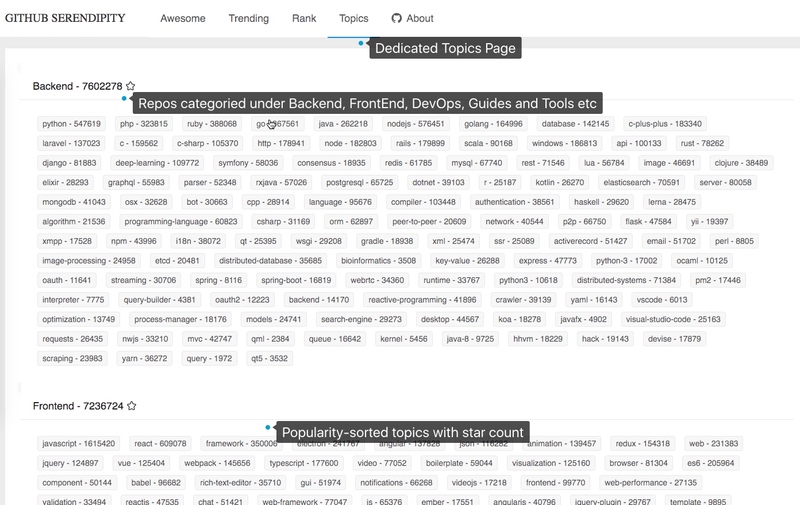 Browse and find high quality repos quickly and elegantly, with trending, rank, awesome, topics, similar dimensions. Serendipity: accidental new discovery. 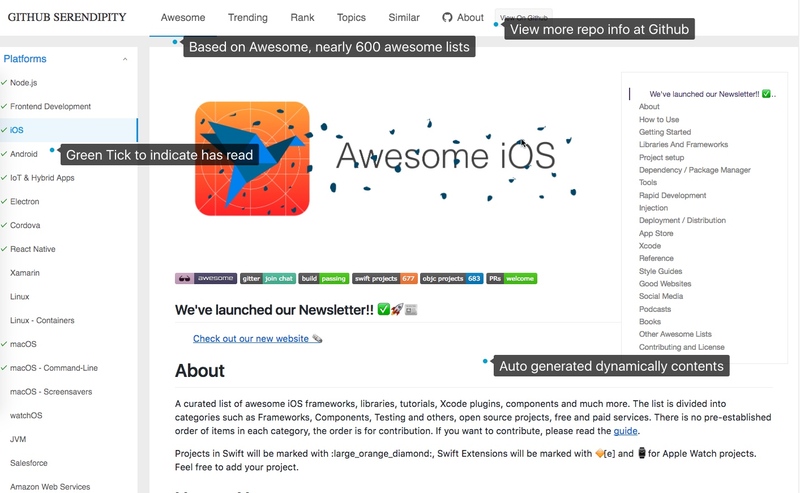 This project(webapp) provides a great opportunity to browse and find high quality repos quickly and elegantly, with trending, rank, awesome, topics, similar dimensions. 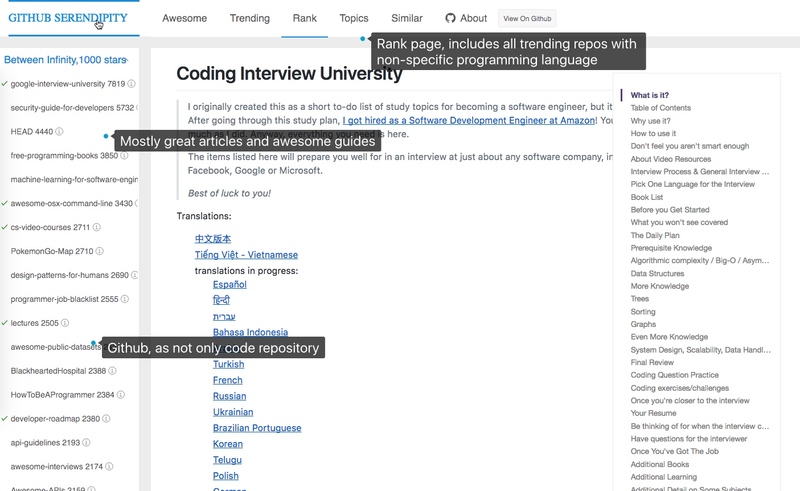 Some great data and ideas come from previous other programmers's projects, addressed at my article Github Explore Tip. 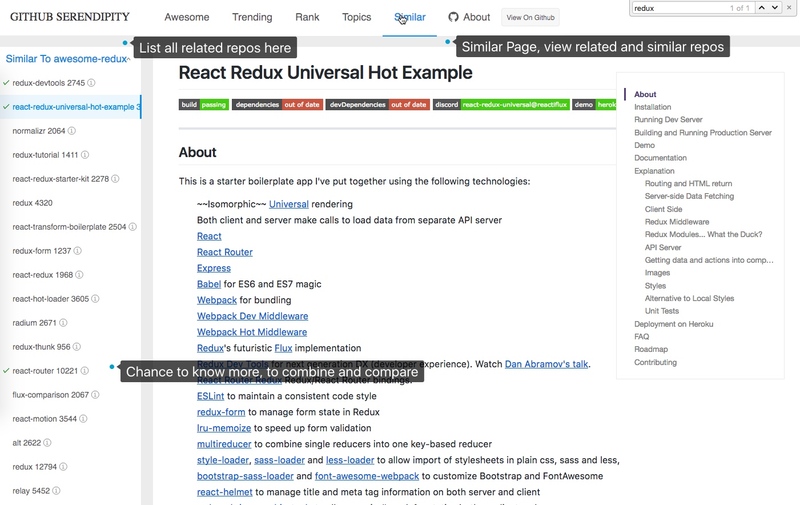 Similar: Find similar repos to the current repo, a good chance to see more, to compare and to combine. 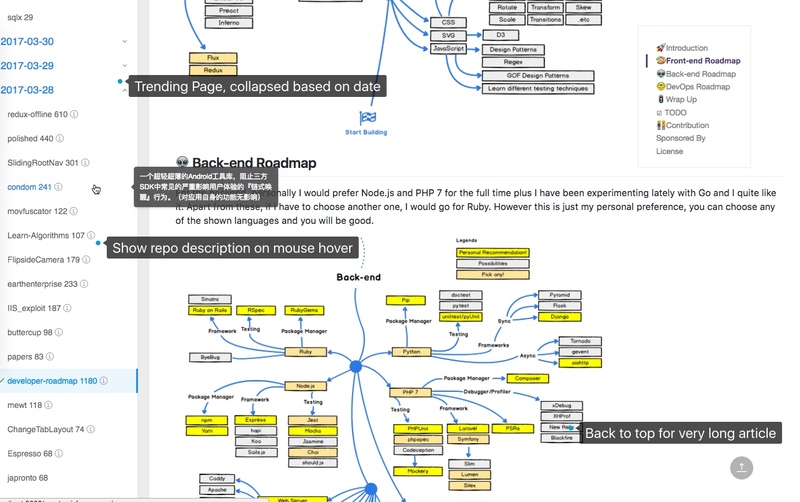 Repos categorized under Backend, FrontEnd, Devops, Guides, Tools etc. Chance to know more, to compare and to combine.